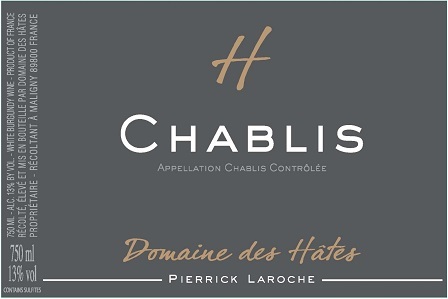 Pierrick Laroche grew up in Maligny, the northernmost village in the Chablis appellation. His father farms 200 hectares (494 acres) of cereals in the outlying hills, and always maintained a few acres of vines to sell the production to the reigning co-op, La Chablisienne (an entity that accounts for roughly one quarter of Chablis’s production). Beginning in 1985, his father applied to the INAO for rights to increase his plantings by about an acre and a half, and did so every year thereafter. When Pierrick came of age with a passion for the vine, this proved prescient. Didier Picq has known the senior Laroche, a contemporary, since their formative years, and he had heard the tidings of the son. He took me there in the summer of 2013 to taste the wines for the first time. Two things impressed us. First, that Pierrick had a go-slow approach for growth—bottling only the very best of his early production and selling the rest in bulk to the traders until he had a solid base of customers. Second, that Pierrick’s Petit Chablis was underpinned with minerality. This class of wine is typically about fruit and little else. Didier was also impressed by the state-of-the-art German press that Pierrick had bought for himself. He whistled at the sight of it, proclaiming it the best one out there. Pierrick’s new cellar is built into the side of a hill, like an old bank barn, so that from one side of the bank or hill the upper level is the ground floor, while from the other side the lower level is the ground floor. Hence, gravity is utilized. That press is on the upper level, where the grapes are received, and the tanks are on the lower level. 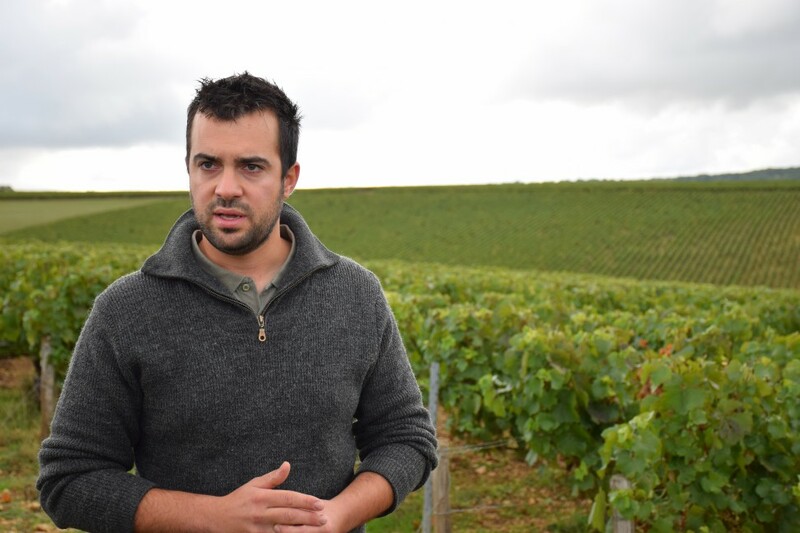 Pierrick makes Petit Chablis, Chablis, and Premier Cru—three of the four levels in the hierarchy of Chablis. His wines are raised in steel, undergo full malolactic, and rest on their lees throughout the élevage. Much like Didier, he aims for purity and minerality. The difference lies in the ground. Didier is in the south of the appellation, where the soil tends to emphasize the calcareous aspect of limestone, which translates into a mineral salinity in the wine. Up around Maligny, the soil emphasizes the clay aspect, which holds water (good in dry years, bad in wet years), and gives weight, body, a flinty, smoky minerality, and forthright acidity to wine. For what it’s worth—and this goes to the other divide of Chablis, that of east and west of the river—most of Didier’s vines are on the right bank of the Serein; all of Pierrick’s are on that side. The right bank is said to be the precocious side when it comes to ripening, but that is a generality driven by the more southern-facing Grand Crus, all lining the right bank. Concerning the name Domaine des Hâtes, hâtes is an old word that once was an agricultural unit of measure—similar to the English rod, which probably has roots in the pole and rope a farmer would use to direct oxen while walking behind a plow. A rod became the basis of all land measurements leading up to an acre. In the old days, the longer the row, the easier the plowing because of less turns, hence fields for sowing tended to be long and slender. A hâte frequently referred to such a field. As for the name of the family, there are a number of Laroches in Maligny, the most famous being that of Michel Laroche, who built a domain under his name into one of the most powerful in the region before merging it with a négociant firm in Languedoc in the 1990s. Any relationship between the families of Pierrick and Michel Laroche is, however, lost to history. Chardonnay The domain has nearly thirty acres of these vines, classed as Petit Chablis because the limestone tends to be the younger Portlandian rather than the older Kimmeridgian, and as such typically occupies higher sites (ie, resting on top of Kimmeridgian) and has less clay. Pierrick is convinced that the authorities didn't do systematic soil samples and that his largest parcel of Petit really ought to be classed as Chablis—it makes wine like Chablis and indeed is surrounded by AOC Chablis vines. Chablis Chardonnay As with Petit, the domain has nearly thirty acres planted in the Chablis classification, all of it (like the Petit) planted in the Maligny commune except for 2.5 acres in the little valley of Fontenay heading toward the Grand Crus. He has eight parcels ranked Chablis, and the average age of the vines is 30 years. 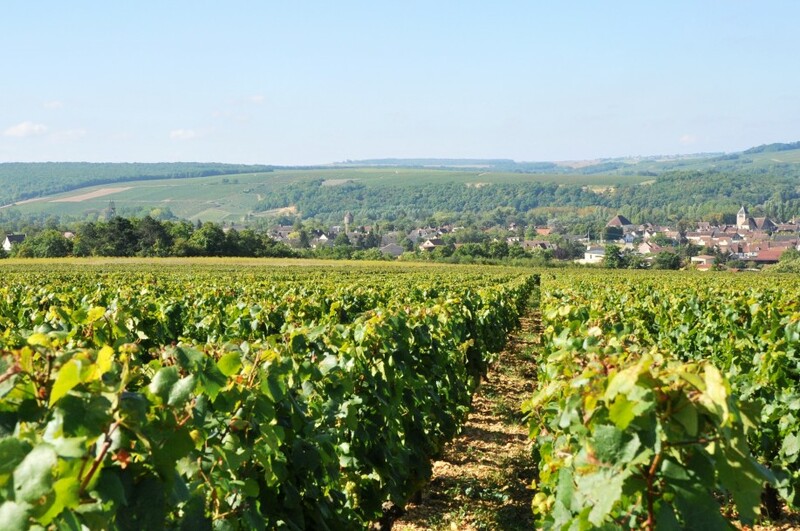 Chardonnay Les Châtillons is the parcel in the little valley of Fontenay, a parcel most recently planted in 1972-73 and totaling one hectare (2.5 acres). It's to the southeast of Maligny, and is the most calcareous of his eight Villages sites. The grapes here make for an elegant, long, especially mineral wine, and for that reason Pierrick bottles it separately. Roughly 15% is aged in wood (both 600L demi-muids and standard 228-liters) and this is blended with the steel-aged remainder. Average production is 1,250 cases. Chardonnay The domain farms 2.7 acres in this subsection of Fourchaume, a top Premier Cru vineyard noted for growing on similar contours as the Grand Crus above the right bank of the Serein. Pierrick's vines average 30 years. In the future, he is thinking about making two premier crus from these vines. One would be labeled Fourchaume and be raised in steel; the other would be labeled L'Homme Mort and be raised partially in wood. The origins of both names are complex. Concerning Fourchaume, one interpretation has the word as a derivative for the French term for lime kiln. Another has it referring to geographical crossroads (fourche, or fork; fork in the road). Local tradition, however, has the name being a contraction of fourche à hommes, or fork for a man, referring literally to the cross beams of a gallows. Back in the day, the lord of Maligny did indeed have a gallows on this hillside. L'Homme Mort, or the dead man, could logically refer directly to those gallows, and this, again, is the local interpretation—which we have chosen to use on our back label. But in the interest of confusion it should be noted that a Gallo-Roman cemetery existed at the entrance to the very small hollow that separates Fourchaume from its offshoot L'Homme Mort, and some say this is the basis of the term. To further complicate matters, a third interpretation has the name referring to a landmark tree, which was commonly used to reference boundaries.